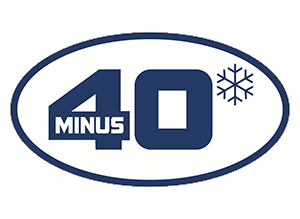 The Sushi Range of Freezers have specifically been designed to operate at low freezing temperatures of up to -40˚C to preserve food over longer periods and with greater food safety assurance. All units have been designed with efficient thermal insulation to ensure that temperatures are efficiently maintained with the lowest energy consumption possible in ambient conditions up to 35˚C. 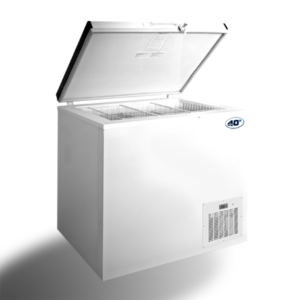 The current Freezer range includes 3 sizes of chest freezer, from a 60ltr unit for small restaurants or café’s, to a 230ltr chest freezer for medium sized restaurants that want to store all their fish and meat for their outlet, to a 430ltr chest freezer for larger restaurants and retailers. 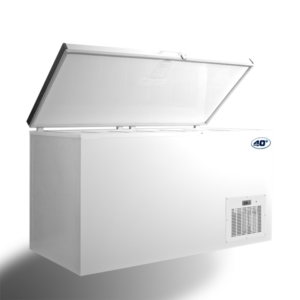 All units can be purchased with an independent temperature monitoring device that records the past 30 days of internal freezer temperature, giving additional assurance that the cold chain has operated optimally. 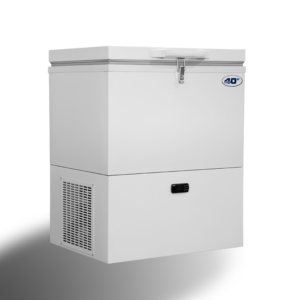 All Freezers require 220volt AC power supply. Customers are encouraged to consider installation and annual service options when ordering so that our technicians and ensure the fridge is installed correctly at operating site whilst ensure longevity with regular service checks that includes cleaning of the refrigerator mechanism.